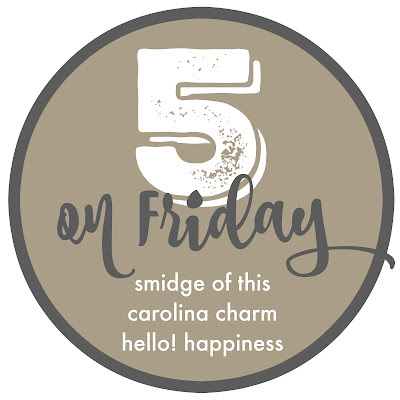 SMIDGE OF THIS: Our New Five On Friday Logo // Snag It! Our New Five On Friday Logo // Snag It! Okay, now that my blog has a new name, we've done a slight redesign on the Five On Friday logo! Please link up with us this Friday using the new logo and linking to my blog, Hello! 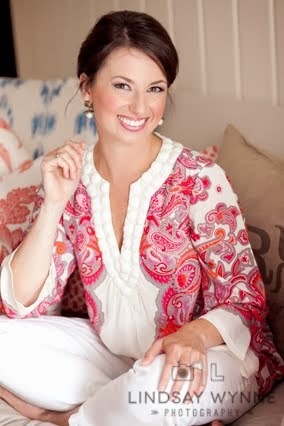 Happiness and Carolina Charm. Our pal Darci is still on a bit of a blogging break but is doing awesome and her boys are as cuuuute as ever. Both Camille and Char have been a bit sick. It started with baby Charlotte ... she had a cough and it just didn't sound great. The cough itself was okay (not raspy or barky) but when she went to take in a breath, it just seemed so labored and gaspy. Scary. But the pediatrician said Monday her lungs were crystal clear and her ear infection (that she'd been taking antibiotics for the last 10 days) was still present ... and worse. So now she's on Augmention as well as a probiotic. Our ped was sweet enough to take a look at Camille's ears while we were there for Charlotte and gave us the all-clear for her. An hour later, wouldn't you know she had a fever! She was up in the middle of the night with what I think was a fever-induced bad dream -- she was saying over and over something like "that's not supposed to be here." I went to her room, snuggled with her, gave her some Tylenol, gave her a dry diaper, rocked her, and dampened her forehead with cold water. Poor thing. So, we are surviving over here, 'tis the season I guess! I'm just hoping I stay healthy. I am popping my vitamins religiously. I'll see you all back here Thursday. Don't forget to save our new Five On Friday graphic! YAY for the new link up button. I was wondering if you were going to change it up due to your new blog update. Poor babies. I think the sickness is what I worry about most once our sweet girl makes her debut. I'm not a good sick person so I can only imagine how I will be when my baby gets sick. So sorry your girls are sick. Both of my kids are sick, too. Fevers, restless sleep, ear infections and stomach bugs have plagued our house since Christmas. I'm like you and just praying I stay healthy so I can take care of them :) Loving the new blog look and name. I hope your girls are feeling better soon. Take good care of yourself in the meantime! Love the new blog name!! Sorry the girls have been sick, we've been sick all fall over here and right now we have Fifth disease virus- sounds scarier than it is but still miserable. Fingers gross germ season is almost over! I used that a lot with Camille and now have to find my little tub of it ... great advice. I did always feel like it helped her! I'm so sorry to hear the girls are sick. I hope they feel better soon! I am all too familiar with Augmentin right now... my littlest guy had two back to back ear infections and I'm worried he has a third. It's rough. Hang in there! Hope everyone is healthy again soon. Five On Friday: HOME TOUR! Five On Friday ... First FoF as Smidge Of This!